Our Hosting Story: Doubling in Size! 3) Platelets which are essential to help people stop bleeding when they are cut. Blood transfusions contain a specific blood cell type that is given to a person to replace cells that have been lost or are not being adequately produced. Most commonly these transfusions consist of either RBC’s or platelets. Very rarely, a transfusion of WBC’s may be given. In this section, the focus will be limited to RBC and platelet transfusions. It is also possible, though rare, to get other infections for somewhat lesser recognized illnesses such as prion diseases, other viruses, malaria and other parasitic infections. However in many countries where malaria is endemic, it would be very difficult to determine whether malaria was transmitted through a blood product or from the environment. In older children, sometimes they stop producing enough cells from their bone marrow because of vitamin deficiencies, autoimmune disorders, cancer, infections, or bone marrow failure syndromes. There are also certain diseases where cells have a shorter than expected lifespan once they are in circulation. Sickle cell anemia and thalassemia are two examples of this. If the child has already needed a transfusion(s) due to the fact that they do not have enough red blood cells or platelets then they will likely require further transfusions. These can vary in frequency from transfusions every few weeks or month to more infrequent transfusions. The more often someone is transfused the more likely they are to experience complications. Kids who need a lot of transfusions can have reactions over time which may cause injury to their lungs, fevers, strong immune system responses, iron overload and allergic reactions.6,7 Because of this, it would be important to determine the interval at which transfusions would be required prior to adoption to be able to set realistic expectations for the family and child. 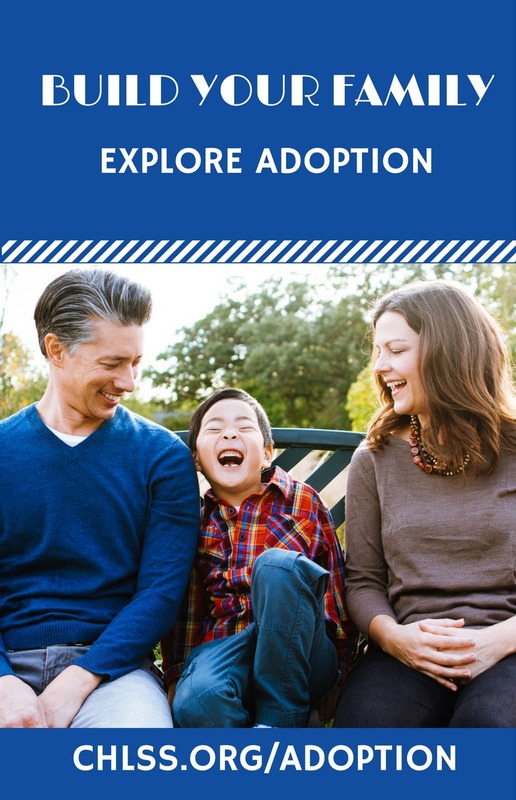 South Korea has consistently good medical care available to the children waiting for adoption. However most of the other countries are either developing countries, or often have limited resources that are available to the children in institutional care. 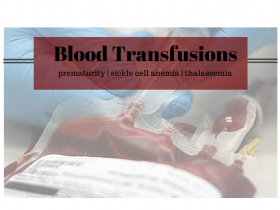 * Most common transfusions in childhood occur because of prematurity OR because the body is not able to make adequate amounts or the correct type of part of their blood. * Clarifying the reason and frequency for the transfusion is the most important factor to determine prognosis and long term health needs. 1. Busch M. Closing the windows on viral transmission by blood transfusion. Blood safety in the new millennium. Bethesda, MD: American Association of Blood Banks. 2001:33–54. 2. Jackson B, Busch M, Stramer S, AuBuchon J. The cost effectiveness of NAT for HIV, HCV, and HBV in whole blood donations. Transfusion. 2003;43(6):721-729. 3. Murphy EL, McFarland W, Lefrère JJ. Teaching transfusion medicine research methods in the developing world. Transfusion. 2009;49(8):1532. 4. Laperche S, Boukatou G, Kouegnigan L, et al. Transfusion safety on the African continent: an international quality control of virus testing in blood banks. Transfusion. 2009;49(8):1600-1608. 5. Kirpalani H, Whyte RK, Andersen C, et al. The Premature Infants in Need of Transfusion (PINT) study: a randomized, controlled trial of a restrictive (low) versus liberal (high) transfusion threshold for extremely low birth weight infants. J Pediatr. 2006;149(3):301-301.